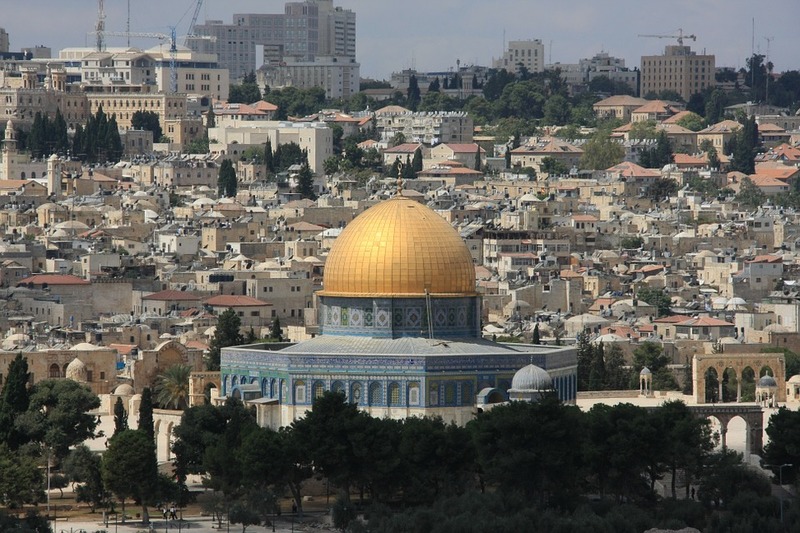 Israel is a country with a rich history and world famous religious sights. Millions of international tourists visit annually and there are holy sites located throughout the country. From sightseeing in Jerusalem, experiencing the atmosphere of Tel Aviv, seeing the spectacular Galilee lake to visiting ancient Bethlehem, there are so many places to visit and things you can do here. Find inspiration for the best things to do if you would like to book a holiday, travel, go backpacking or take a gap year in Israel. On our guide you can also get information, tips, itineraries and advice for visiting Israel on a budget. Getting to Israel is fairly simple, you can even fly with Easy Jet from the UK and if you book in advance you will get a great deal on prices. Most flights fly into Tel Aviv or Jerusalem and from here you can venture out and see more of the country. From the USA to Israel take around 14 hours, some cheaper routes have stop offs. Israel is a part of the Holy Land. Three of the world's major religions - Christianity Judaism and Islam – are tied to the region. Israel is one of the world's oldest travel destinations and there is plenty to do here. From the capital city of Jerusalem (a UNESCO World Heritage site) to the mountainous peaks of Mount Hermon and to the most vibrant city in the country, Tel Aviv, Israel has something to offer everyone. A walk around Nazareth or seeing the Baha'i Gardens in Haifa is recommended whilst the beaches of Eilat and the stunning Negev desert scenery are a must see. You might be suprised to learn that Tel Aviv is one of the most popular party destinations in the world, there is amazing nightlife here. There are lots of different options where you can travel in a small group, make new friends and enjoy one of the most fun experiences of your life. Prices vary depending on where you would like to visit and how long you would like to stay. Israel is an expensive destination so you will need to prepare and have enough prepared inadvance. If you would like to visit Israel on a small budget then accommodation and sightseeing prices can be really high at peak times of the year e.g. Passover in April, Autumn festivals and also Christmas which is a popular time for overseas tourists. Costs for visiting the tourist sights in the country can vary, some are free whilst others charge an affordable fee. Israel is a very developed country with great infrastructure for travelers, you will find hotels and hostels throughout the country but prices are not cheap. If you are looking to experience the country on a budget then it is difficult to find really cheap places to stay and you might want to join a program we have listed on our website as accommodation is included in the overall Cost. In cities like Jerusalem you can stay in the Old Town for cheap but this is not the most desirable area. There are lots of different options for eating out in Israel, throughout the country you will find cafes, restaurants, bars and also street food which is very cheap and tasty. There are lots of healthy options available too. If you are on a budget you might want to but fresh food from local supermarkets and makolets (local convenience grocery stores). Don't be afraid to try the local delicacies, and don't worry there is a range of worldwide food options available e.g. fast food outlets. When thinking about visiting Israel images of violence and recent turbulence but this country is a very safe destination to visit. You will find Israeli people very friendly and open to meeting foreigners, most people speak English but learning basic Hebrew might come in handy. Always check latest travel advice before departing though and we highly recommend booking a tour where you will get everything arranged and also in-country support. 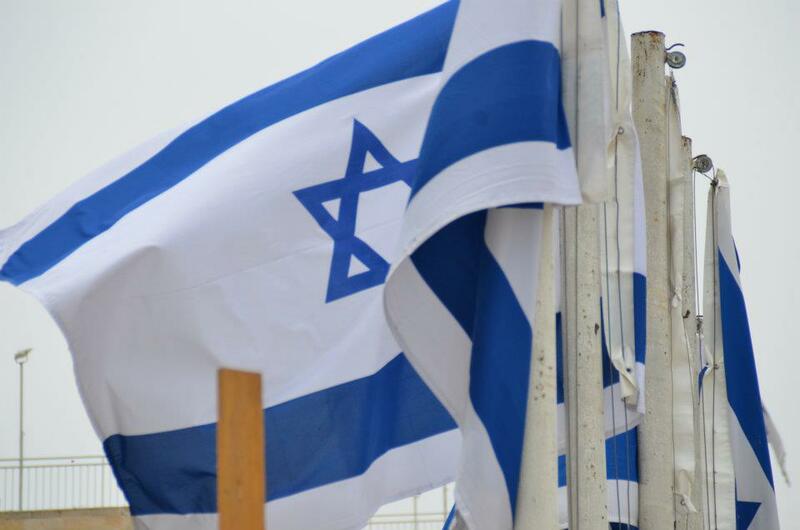 Israel is a historic, cultural and vibrant country to visit. We list gap year programs for students, graduates, career breaks and for people seeking adventure and something a little different from the normal travel experience. From exploring the holy city of Jerusalem, joining a Kibbutz to experiencing the youthful atmosphere of Tel Aviv there are so many different experiences to be had during summer and all year round. Tel Aviv is an incredible city with a young vibrant atmosphere - there is also an amazing nightlife. Jerusalem is one of the most historic cities in the world .The beaches of Eilat is amazing. The stunning Negev desert scenery is a must see. 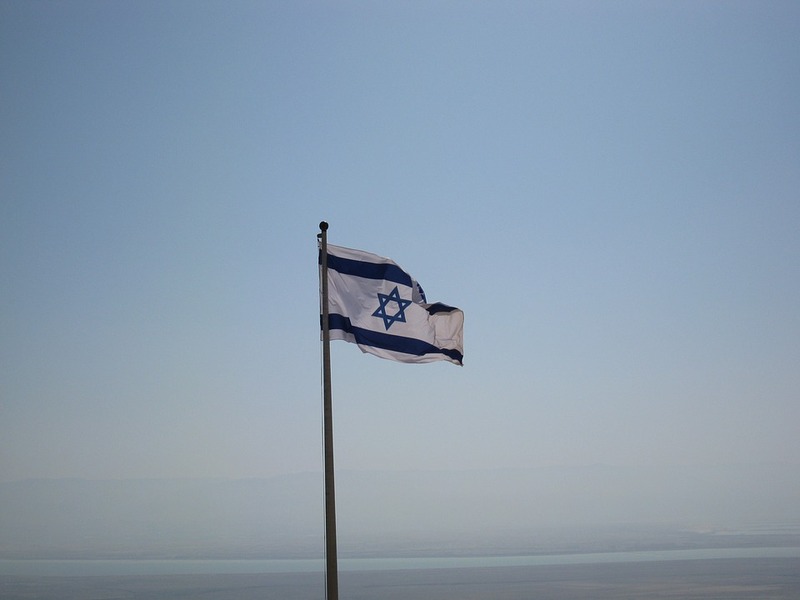 Isreal is a really up and coming gap year destination, in the past decade the security situation has improved dramatically and now more travellers and gappers are choosing to visit this historic country. Backpacking is becoming easier and there are now more gap year programs available than ever before, so if you have an interest in learning more about the country, would like to visit historic religious sites or would just like to experience a different culture a gap year visiting Israel will appeal to you. When you land in Israel you will be able to see the cultural differences straight away, this will be the gap year of a lifetime. There is a good public transport system operating throughout the country which is cheap and reliable, this is perfect if you are looking to get between places e.g. Jerusalem to Tel Aviv. Sometimes taking a shared taxi can work out around the same price too. We highly recommend joining a structured gap year program to see the very best of Israel where you will get to do new things, learn a lot and also get guided and taken to the most popular locations in a safe experience. These programs are very popular with people taking a year in Israel after high school / education. 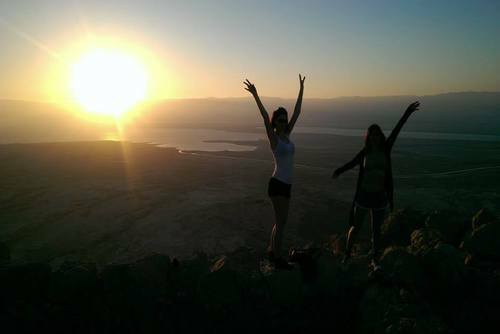 By joining a gap year program in Israel you will get real world, hands-on experience in your field of work or study, participate in cultural events mixing in the local culture and working with Israelis, learn about the country and develop new skills, get an entry on your CV / resume and improve career opportunities. We also list gap year placements where you can help communities in Jerusalem or teach English in Tel Aviv. Gap year work in Israel can include taking part in a Kibbutz which are usually located at rural agricultural settlements in Israel. Kibbutz roles can vary from working in the fields, helping animals or being part of production lines in factories. There are also more community and group trips available. Most programs are unpaid and sometimes you will need to pay a fee to participate. If you are keen to secure a gap year job in Israel there are flexible summer and year round positions available to internationals. Prices can vary depending on how long you visit, which company you apply with and also the time of year. You might need to pay for flights separately. You might want to also join a structured trip to save money and eliminate the hassle of travelling especially if you plan to go solo, taking a gap year independently can be expensive when you add up accommodation, transport, food and sightseeing. You'll get photos to remind you of wonderful memories - this will be the most incredible experience of your life! There are lots of different tours and operators running trips all year round, all are unique and have different itineraries. You might want to choose a tour based on price or place visited. The three main cities in Israel which you might want to visit include Jerusalem (an ancient destination where East meets West) Tel Aviv (young vibrant atmosphere) and Haifa (located on the beautiful Med). Other places you might want to add to an itinerary include Masada, The Dead Sea, Yad Vashem, Israel Museum, Caesarea National Park, The Galilee and the Baha'i Gardens in Haifa. Exploring Israel on overland tours is very popular, most trips usually start and finish in either Tel Aviv or Jerusalem. In Tel Aviv you can relax on the beach, explore the Old Quarter, enjoy the culture of the city and experience it's famous nightlife. You will then travel overland seeing the best destinations in Israel including the Baha'i Gardens, Sea of Galilee, Dead Sea and the facsinating city of Jeruslem. There are also Israel tours where you can go overland and visit more than one country, to view more about these trips check out our Egypt tours and Jordan tours. Some overland tours start in Egypt and then cross from Dahab into Israel where the first stop off is usually the Dead Sea and Mount Masada. This is a really fun destination, there will be time to float and a relax in the dense water, before you will go to see King Herod's hilltop fortress of Mt Masada. From the Dead Sea you will usually next visit Jerusalem and explore this city with a local guide. 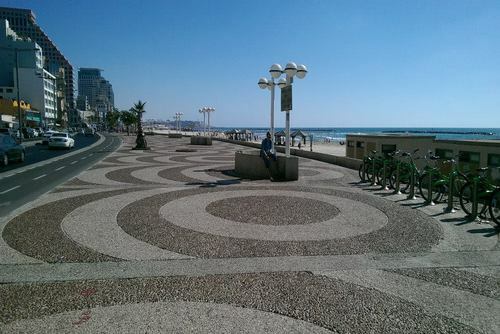 In stark contrast to Jerusalem, Tel Aviv is a modern bustling hedonistic city. Time can be spent browsing in Boutique shopping areas, sipping a cocktail or two or just relaxing down at the beach. Most tours have a maximum group size of 12 people and there are departures every month all year round. 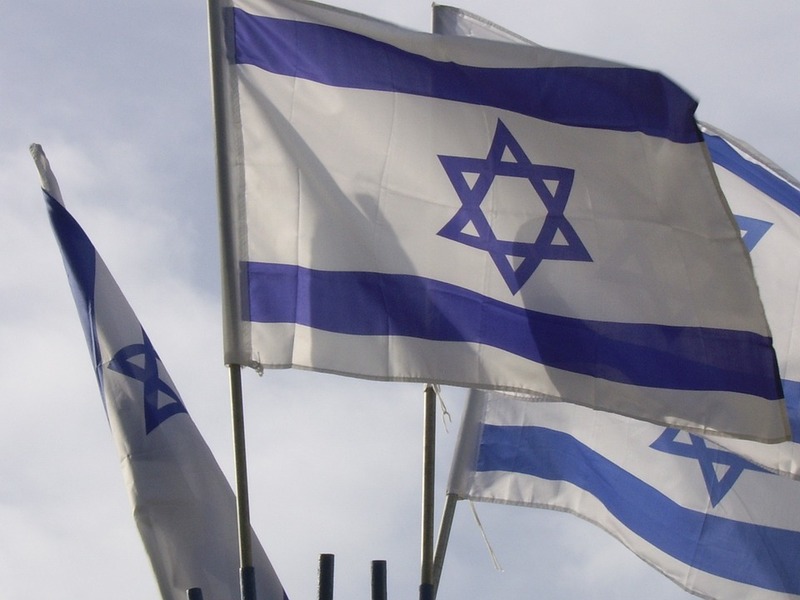 Israel is a country that is frequently in the news and travel advice can change at any time. 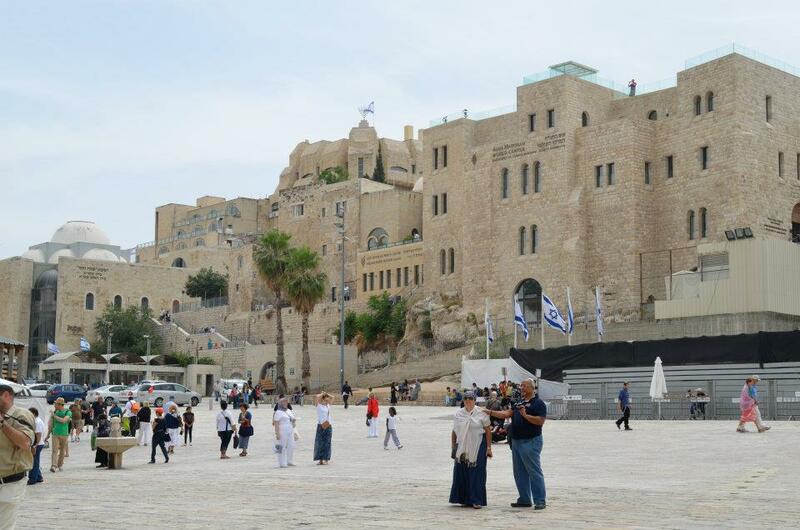 Should it be impossible for Israel tours to run, operators will endeavour to place you on a different tour in the region and make arrangements to use the extra time to see further sights and attractions in nearby countries. There are also tours in Israel for all budgets and requirements, our tours are all affordable. Learn a lot about the country and see some of the most significat religious sites in the world from an experienced guide. Cultural opportunities in Israel can include hiring a bike and exploring the spectacular Galilee lake to visiting ancient Bethlehem. Most religious tours in Jerusalem include a guided morning walking tour of the 4 quarters of the Old City, including Western (Wailing) Wall, Via Dolorosa and the Church of the Holy Sepulchre. You should get free time to explore when u can visit such places as Temple Mount and Jerusalem's enduring symbol, Thne Dome of the Rock. From Jerusalem you can take the option to visit Bethlehem, a popular holy place of pilgrimage. Short for time? Want to see the highlights as quick as possible? There are day tours available to book throughout the country. Popular options include city tours where a local guide will usually show you the sights. These types of tours can be booked as part of a group or you can spend a little extra and get a private tour. Some city tours are totally free but you might be expected to give a tip. Volunteering in Israel is a chance to experience a different culture and really make a difference whilst also getting to see spectacular sights in your spare time. You do not need to be religious to apply, and all Nationalities and faiths can apply. You will need to be eligible for a tourist visa to volunteer here, if you are from the UK or USA you shouldn't have any problems. This destination is especially popular with US students and graduates, you will need to get your application in early to get a space as during some periods programs get booked up quickly. Most people in Israel speak English and so travelling here is a lot easier than you might expect, learning a few Hebrew phrases or words will come in useful though and enhance the cultural exchange. On One World 365 you can find international volunteer organisations, NGO's and non-profits offering a range of projects including structured, free and low cost opportunities. You can b part of an amazing opportunity to make a difference and experience living in this fascinating part of the world which is very different to what you might see on the news. Search projects and apply today. Community projects are an incredible opportunity to spend time working with local people and immerse yourself in the culture of the Middle East. There are a wide selection of inspiring programs in Israel where you can help assist community projects to children and help build bridges between Israeli and Palestinian youngsters. 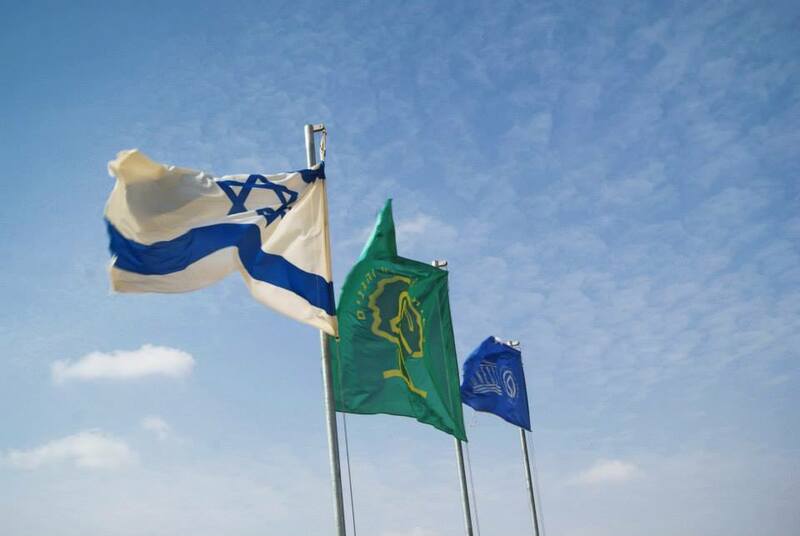 You will have the unique opportunity, unlike many other volunteering projects, to influence and develop the new generation of Israeli and Palestinian citizens. There are also projects helping with refugees and working with elderly and disadvantaged people. There are community centres based in the multicultural town of Mughar and also an annual summer camp for Druze, Christian and Muslim children where you can teach coexistence, arts, sports and ecology in English. Teaching programs in this country are popular, you can work alongside local staff and other international volunteers by improving the lives of children and local people. you could pitch in helping local day care centres for local children too. On youth and educational projects you can help lead fun lessons and educate local children in Israel who will love to have you there. 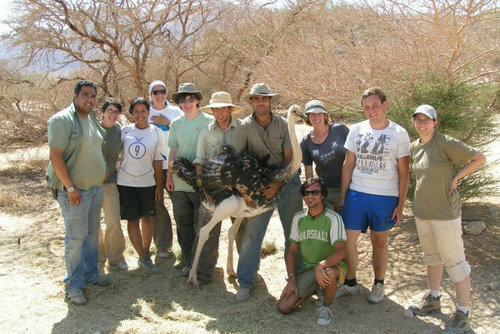 Conservation programs in Israel are suitable for people considering the opportunity to do something rewarding, you must be keen to make a difference as well as help out with different aspects. Some programs are located in Jerusalem and in more rural areas where you can help preserve Israel's natural habitat on eco preservation initiatives. You could also take part in Kibbutz voluntary projects which are usually located at rural agricultural settlements in Israel. There is a need for wildlife enthusiasts who have a passion for caring for animals, you can work and help local vets and help rescue and rehabilitate wildlife in desert areas. Volunteers who have an interest in working outdoors with endangered species will be ideally suited to the Desert Wildlife Reserve project. 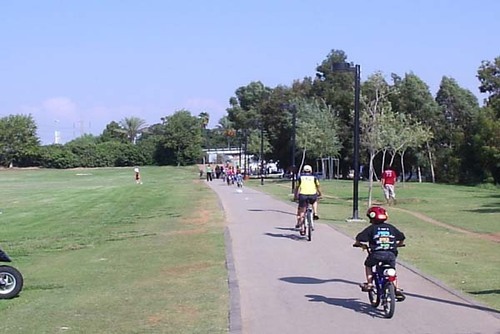 The project is based in the picturesque Arava Valley in southern Israel. This area is one of the least populated in the whole country, and is also home to nomadic desert people. The landscape includes a variety of desert habitats including sand dunes, an Acacia forest, and a salt marsh. The mission of Wildlife Reserve is to establish reproduction groups for populations of endangered desert animals and different wild animals that are disappearing from the area. Volunteers join the Wildlife reserve staff to take part in conservation activities and caring for the animals. It's important that volunteers note some tasks are subject to change due to the nature of the reserve. The Wildlife Reserve project requires a minimum time commitment of 4 weeks. In Israel you can find local organisations which offer enriching and education programs which have been designed for young Jewish students to join following graduation. There are short and long term experiences available, some placs last a couple of weeks whilst others you can join for one year and over. These programs mix academic study in places like Tel Aviv with cultural excursions, community service, leadership development and also experience where you can improve your Hebrew or knowledge on the history and tradition of the country. These programs are open to all backgrounds and Nationalities but you will need to be of the Jewish faith. Thousands of people join every year, usually from the USA but also a number of other worldwide countries.Most programs are open to all religions so don't be put off if you are not Jewish. There are through learning and cultural exchanges specifically designed for young Jewish people to join where you will get to see the country, get educated and have a really fun experience. Looking for a way to spend your summer giving back? Why not consider volunteering in an exciting multicultural summer camp, based in Maghar, Northern Israel? Maghar is a vibrant village overlooking the Sea of Galilee in Northern Israel. This placement is for two weeks and is organised by the Israel Association of Community Centres, who aim to advance the quality of life of people in multicultural communities like Maghar. The project commences in July; it is a fantastic opportunity for people to experience the unique cultural diversity of the Maghar region and Northern Israel. You will be given the opportunity to work with the Community Centre and assist with its annual summer camp for Druze, Christian and Muslim children. 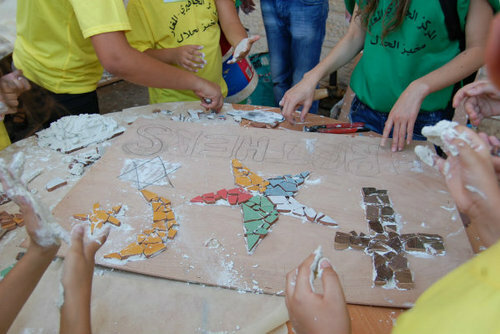 The camp aims to teach children about coexistence, arts, sports and ecology (in English). Volunteers at the camp work for around 7 hrs per day.